Secrets of Winter was a great book to read! Books – I absolutely love them! Stories make our imagination go wild as we picture the scenes that the author paints into our minds with their words. However when it comes to the holidays, I like to be a bit more creative, using my hands to bring that imagination that’s inside me to life. Now us kids can combine our love of books with creative activities that are more like games and art classes as Ivy Kids Books launches three awesome interactive books – all for different age groups, so there’s something for everyone. 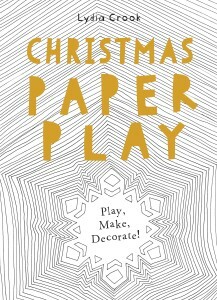 Christmas Paper Play is my personal favourite because during the Christmas holidays I spend hours making paper decorations to hang around the house and this book gives me all the ideas and ingredients that I need to make really stunning decorations. 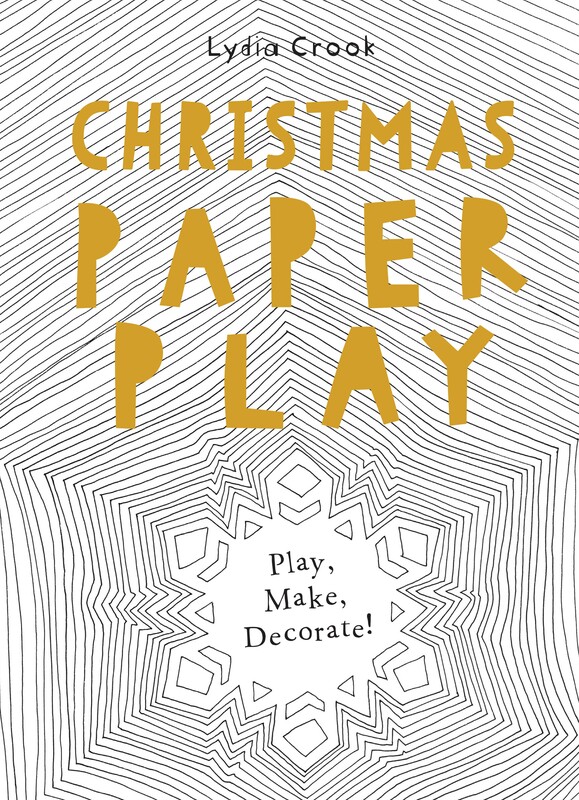 With Christmas Paper Play there’s no need for a huge stash of crafting materials because the book gives you everything you need to make dazzling creations and festive games all in one book. There’s an origami star (I’ve always wanted to learn origami, so I’m especially excited about getting my hands on that), an advent calendar, a fun snowball challenge, your very own Christmas tree and more! The book is printed on lusciously thick paper, so mum’s happy because she may far from have to spend a fortune on special card, and it’s illustrated in a retro colour palette with really delightful artwork. All us kids need are a pair of scissors, colouring pens and pencils and a dab of glue. I am excited to get started! 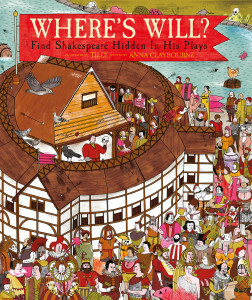 For those of you who like to stretch your minds with puzzles and brain- teasers, Where’s Will? is a brilliant book that throws you into the world of William Shakespeare. This book will have you spinning with excitement as you’re challenged to spot Will Shakespeare and a selection of colourful characters from ten of his most funny and powerful plays. I REALLY love Shakespeare (I’ve even called my fluffy white cat Puck), however this book makes his plays interesting for everyone, even if you expect you’d be challenged to like Shakespeare. 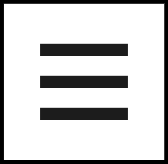 For each play there’s a summary to help you understand the story and meet the main characters. You’ll soon see that the Shakespearean stories are packed with high drama, strange goings on and weird and wonderful characters. Next, hunt for those characters who are hidden in the detailed and beautifully illustrated pictures of the play’s settings. Will you pick out Puck in the Midsummer Night? Will you spy Cecilia hidden in the Forest of Arden? And Will you spot Will making a cameo appearance in every scene? 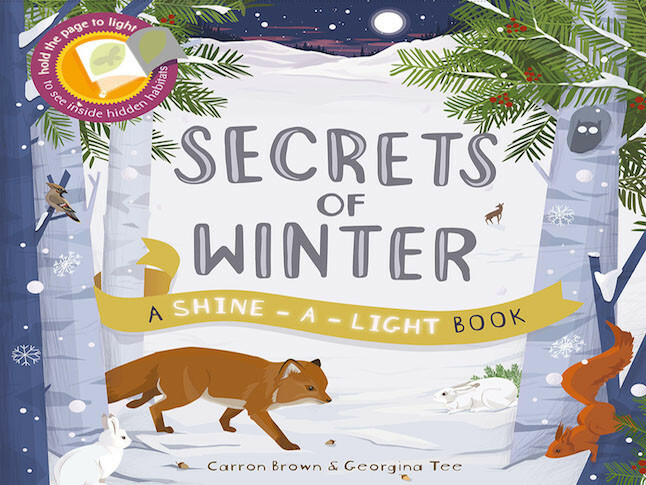 For younger readers, Secrets of Winter, is a wonderful book that literally lights up in your hands. You can discover nature’s wintertime secrets and meet the animals and plants that live in and around a snow covered forests, from the bears in their lairs and the foxes in their earths, to the squirrels and birds in the treetops. I wish I’d had this book over the summer as I was making my animal habitat! The exiting bit about Secrets of Winter is that its light-touch interactive. Shine a torch behind the page or hold it up to the light to reveal what’s hidden in the wintery night-time woodland. It really does let you dive into a secret world that is hidden. So kids can start interacting with this book even if they are below reading age, mums and dads can read the words whilst the children go on a light adventure to learn more. Whats your favorite book to read? Anna Claybourne & Tilly Carron Brown & Georgina Tee Christmas Paper Play Ivy Kids Books Lydia Crook Secrets of Winter Where’s Will?